This beautiful basket arrangement is a perfect gift. 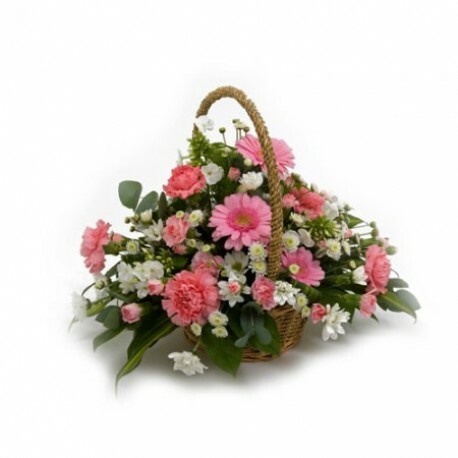 This beautiful pink and white arrangement, set within beautiful green foliage and sat in a basket will bring a smile to anyone who receives it. Containing Gerberas, Carnations, spray Chrysanthemums and mixed green foliage. Available for same day delivery when ordered by 2pm or for any day of your choice.